Three more ‘Classic’ High Speed Trains (HST) will be leased by ScotRail to combat poor performance as part of the operator’s Remedial Plan agreed with the Scottish Government. The operator will also recruit an extra 55 drivers and 30 conductors as part of the plan to raise performance. 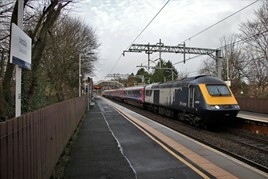 It will also seek to complete training on the Hitachi Class 385s and HSTs as soon as possible. Transport Scotland ordered SR to deliver a Plan on December 24 last year, with a deadline of February 18. Other plans as part of an agreed £18 million investment include spending £500,000 every year on its Performance Improvement Fund (PIF) that will enable local managers to identify and implement changes, upgrade customer information screens at 16 stations and create a role with the SR operations team that will ensure the delivery of a new three-year traincrew plan. “Improving the service our customers receive is the priority for everyone at ScotRail, working with Network Rail and key suppliers. I am confident that this plan will deliver significant improvements on Scotland’s Railway,” said ScotRail Alliance Managing Director Alex Hynes. “We have worked hard to identify specific areas to focus our efforts where they will have the most impact. The funds we have invested in this plan is a demonstration of our commitment to delivering the service our customers expect and deserve,” he added.